Our newest addition to our denim collection this year is Hudson Jeans. 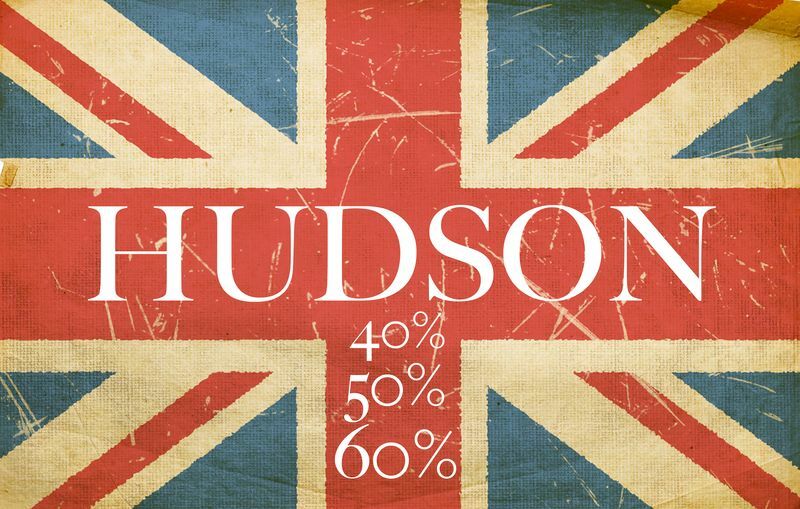 Hudson is an American designer denim company, producing jeans for men, women, and even children. We will be adding a ton of new styles and fits for both men and women as this is one our newest acquired brands. For now, here are three fits for women that we just put up on our web-store. The Nico Super Skinny is a Black Cotton/Tencel/Lycra blend offering some stretch in the material for maximum comfort. Nine-inch rise in the waist; They are slim all the way down and with a 10-inch leg opening at the bottom, these are one of Hudson’s skinniest models. These Barbara High waist jeans offer the same slim (super skinny) fit as the Nico with the 10-inch leg opening at the cuff, only this time with a 10-inch rise offering the popular women’s high waist fit. The Collin Mid Rise Skinny Jean is a dark blue wash with some fading and tears to give a distressed, worn look. These here will have a more roomy fit with a 12-inch leg opening as well as an eight in rise in the waist giving them a lower cut fit through the hips. These are only just a few styles with many more to come for both men and women, so be sure to check back for more styles regularly as they will be up on our web-store very soon. Today, the 1460 boot is one of Dr. Martens most prominently seen models, also being that it was the first model ever produced by the British Footwear company, now offered in a women’s specific design for a thinner, more sleek fit. This patent leather model has become a popular choice, offered in a wide variety of colors, along with those same choices given in flat tumbled leather like the classic brick-red 1460′s below. Here we see what looks to be the 1460 boot revisited with a much thinner sole. The Tobias boot is one of Dr. Martens more recent models to offer a more lightweight shoe, suitable to some for a more everyday wear. 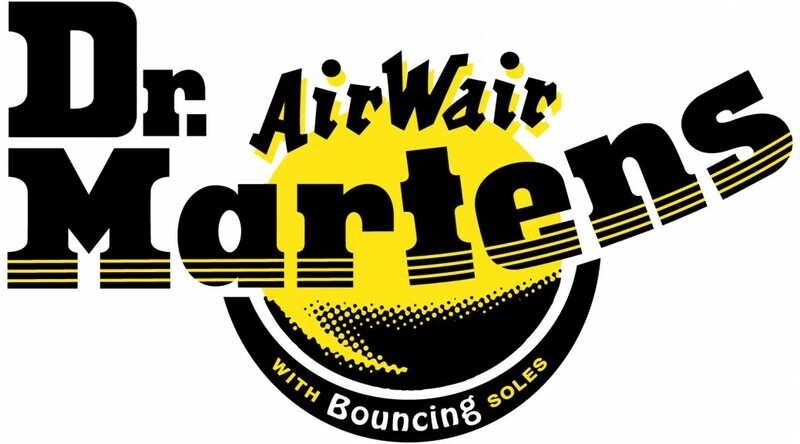 The 1461 Shoe is one of Dr. Martens more versatile models, wearable for formal events, or just everyday wear, offering maximum durability as well as comfort. The Dr. Martens Dorian model offers the same comfort as the 1461 while appearing thinner across the toes. Same 3-eyelet construction, just a thinner toe box and sole. This aged brown leather pair is perfect for any occasion. This Get Money tee from Ese perfectly exemplifies the lifestyle most all of us strive for on the daily, which is living a prosperous life. The best way to do that is “Get Money”. The Homie tee features a gold foil printed graphic that twists up the recognized font of luxury brand, Hermes, while still staying true to Ese’s street wear style, with lowrider culture being a prevalent past time in Tucson’s inner city lifestyle. I like to think of the Homie Beverly Hills tee the afterthought of working hard once your goals are reached. For now it’s fuel for the fire of our dreams to make it to the top. The graphic is aided by the help of a few familiar faces as well. This is only three tees from Ese’s first collection available in-store as well as our webstore. Be sure to shop the rest of the Ese line here, and let us know which tee you’re picking up in the comments below. 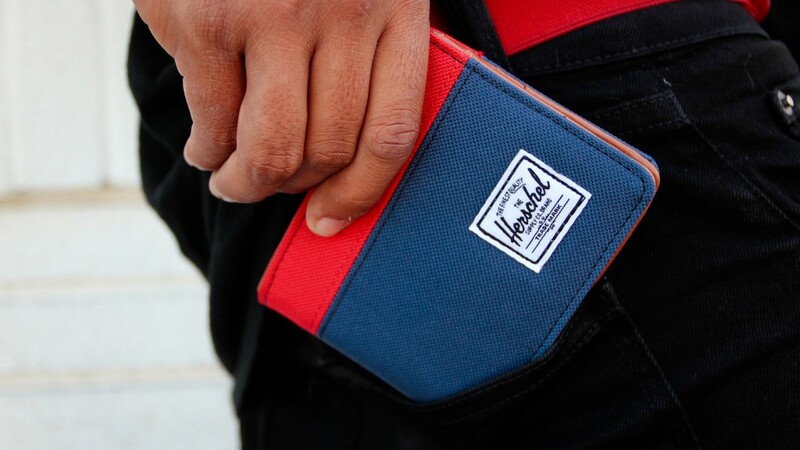 Wallets from Herschel Supply Co. This Heisenburg tee is a favorite among BB fans and ink addicts. The hand drawn black & grey portrait features Walter White covered in not just any tattoos, but each piece of work relating to him and the show. The OG Hanya tee features a black & grey Japanese traditional rendition of a Hanya, which is a synonymous piece in Japanese style tattooing. The Eve Raglan features a black and grey drawing of what one artist believes a modern day Eve may look like; a beautiful woman covered in beautiful artwork with two cobras intertwined forming a nice frame. 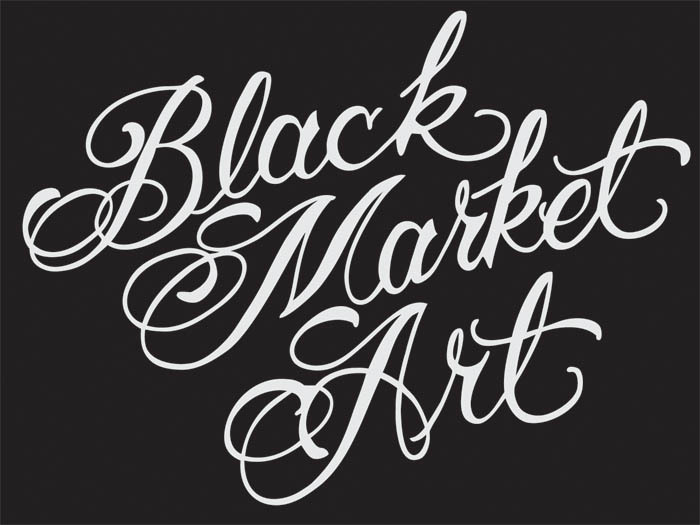 Be sure to shop the rest of the collection from Black Market Art we have at Dress Code Clothing here. Here’s one of the more famous designs from Eleven Paris featuring Albert Einstein rockin’ their infamous finger mustache with the saying, “Life is a Joke” underneath the photo. 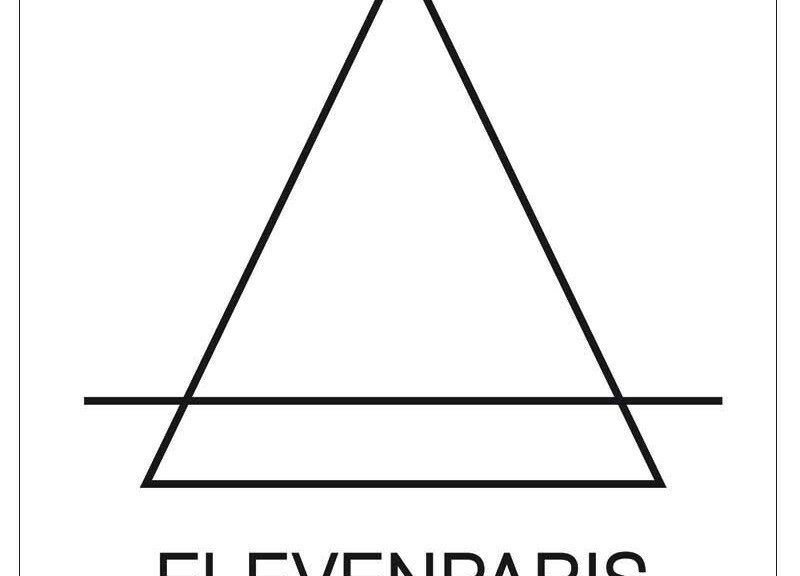 Eleven Paris is well-known for featuring all kinds of pop culture and music icons in this pose. Playing on both the minimalist and pop-culture sides of their line is the Higy Tee (No that’s not a typ-o). This ultra soft black cotton tee features a simple black woven label at the front left hem of the shirt with the back done in a sports jersey manor with Biggie across the shoulders and “97″ as the number. This Sacage tee (again no typ-o) features a shoulder-to-hem image of a woman wearing a black ski mask while in her birthday suit with the word “Savage” running across her eyes inside a black box. Above are just a few of the pieces we have in stock from Eleven Paris. I left a little surprise on our web store for you hip-hop fans too. Be sure to check out the entire first delivery here, and let us know what you’re picking up in the comments below. 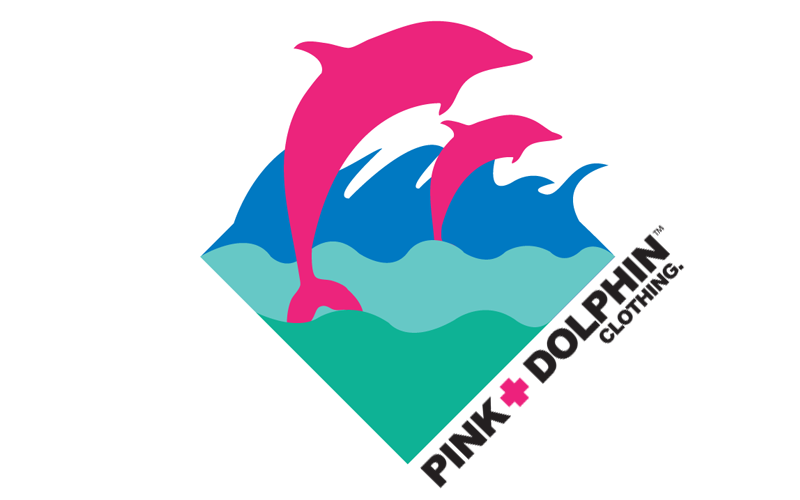 We just got in our first shipment from popular street wear brand, Pink Dolphin, now available at Dress Code Clothing. The Cali based line features colorful pop art graphics as well as textile patterns on a wide range of garments, with one of the original logos of the brand being two pink dolphins, what else? Check out a few Pink Dolphin pieces below and keep your eye open for more pieces to hit the site soon. Here’s a new take on Pink Dolphin’s original logo apart of their first Fall Delivery. The Waves Tee features the Dolphin logo in black and white with the two dolphins in color. Pink woven label sewn to the lower left hem of the shirt and a small graphic on the back, up top. This Pocket Flag Tee features another one of Pink Dolphin’s popular logos on the front left chest. On the back is a unique set of the brand’s initials with an abstract mountain scenery in the center of the “P” all the while still staying true to Pink Dolphin’s signature color blocking. The Jumbo P t-shirt features a Saloon-esque P on the front, this time with the shirt having a black woven label on the bottom hem and a blue graphic on the back centered in the shoulders that matches the color in the bottom of the “P”. Shop these three Tees on our webstore now and be sure to keep your eyes peeled for the rest of the Pink Dolphin Fall Delivery to drop shortly. Check out some new products from one of our newest brands here at Dress Code Clothing, L.A.T.H.C. (short for Los Angeles Tree House Club). The Cali based brand brings a luxurious aesthetic to the street wear industry. 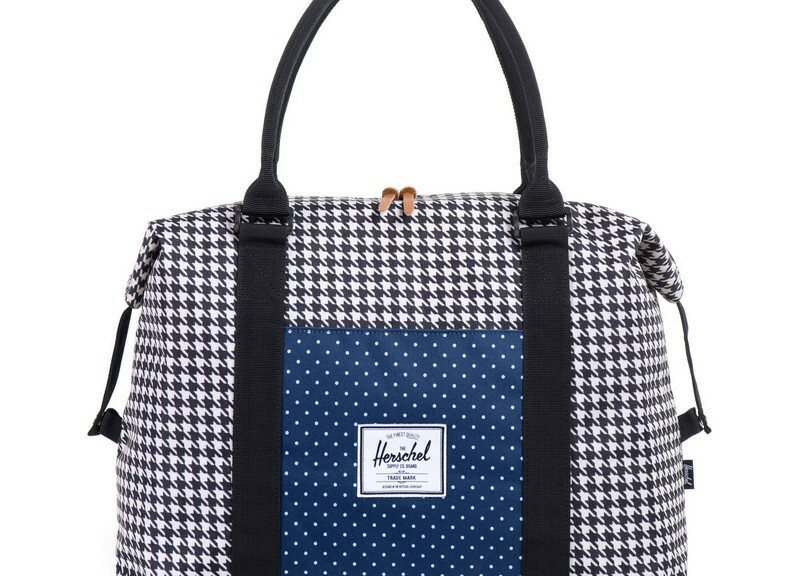 Add some spontaneity to your Fall wardrobe with the help of L.A.T.H.C. This uneasy long sleeve incorporates the trending roman/greek imagery into this black cotton long sleeve with a famous quote from William Shakespere on the back. I’ll leave the sleeve graphics a surprise for when you check this piece out on our site. The Coat of Arms tee is one of L.A.T.H.C.’s cut n’ sew pieces with an all over printed pattern sewn to the black sleeves at the chest. within the shield like crest reads their mantra” rule the streets”. Right sleeve screenprinted graphic with an embroidered emblem on the left sleeve. This black on black football top features a circular array of twelve circles on the front with the L.A.T.H.C. logo on the lower left above the hem. Featured on the back is the number “00″ and diagonal lines across the “name box” of the jersey in black as well. These are just a few pieces from L.A.T.H.C. to check out. Be sure to shop the rest of the collection here and let us know what you purchase in the comments below. Getting back to the roots of TH’s branding, this Candy Boom tee showcases The Hundreds’ iconic “Atom Bomb” logo giving it a twist with the red patent colorway resembling a piece of candy. The Hyper Long Sleeve offers a cleaner look while still staying true to The Hundreds roots. Atom Bomb Logo on the left chest with “THEHUNDREDS” down both sleeves. This Team Snapback is one of the new hats in stock for F/W, offering the best of both worlds in one piece. Classic Logo resembling the retro sports team snaps with a paisley patterned bill. Those are just a few pieces to get you guys started. 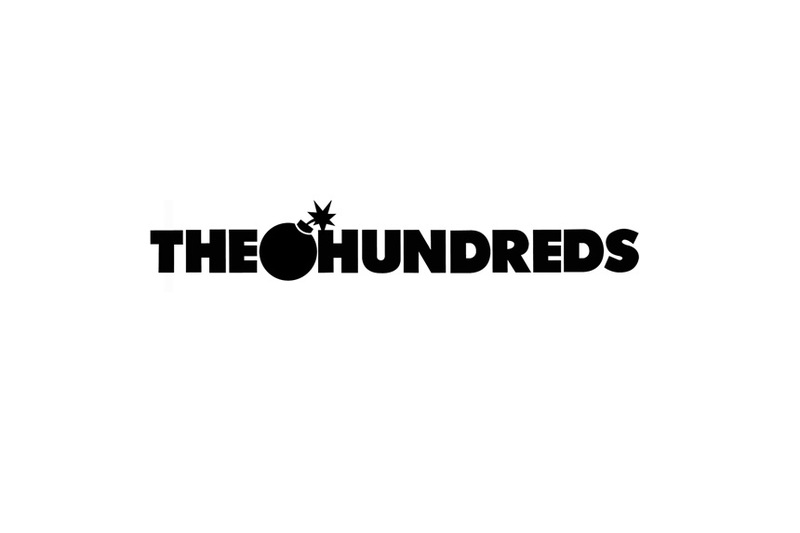 We’ve got a ton more new products from The Hundreds, so be sure to shop the rest of the new Fall/Winter Delivery here.